Drama For Your Windows and More! 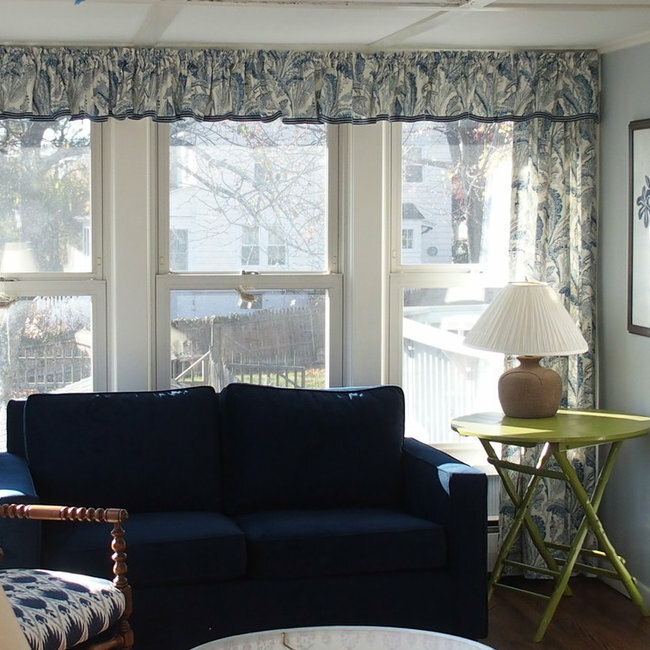 At Curtain Call our mission is to make our clients' homes as comfortable as possible. 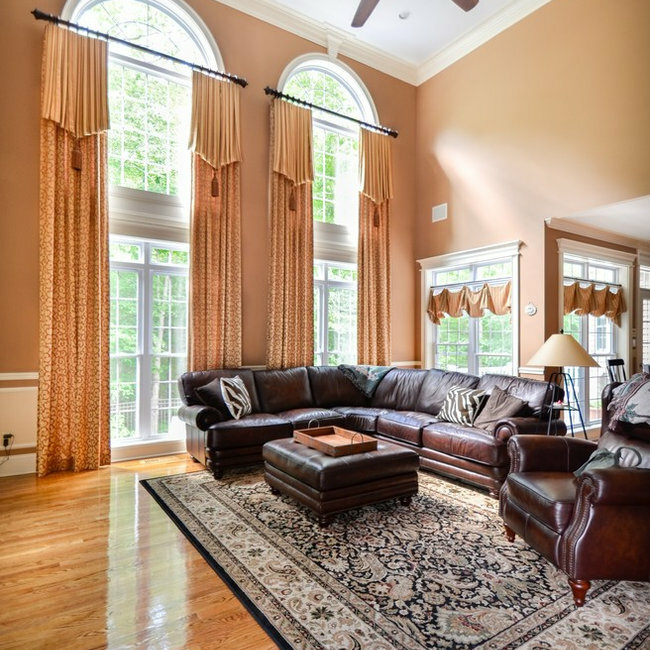 We want to help our customers choose window coverings that will manage any functional needs such as light control, insulation, sound absorption and protection of furniture and floors while providing a decorating style that they love. 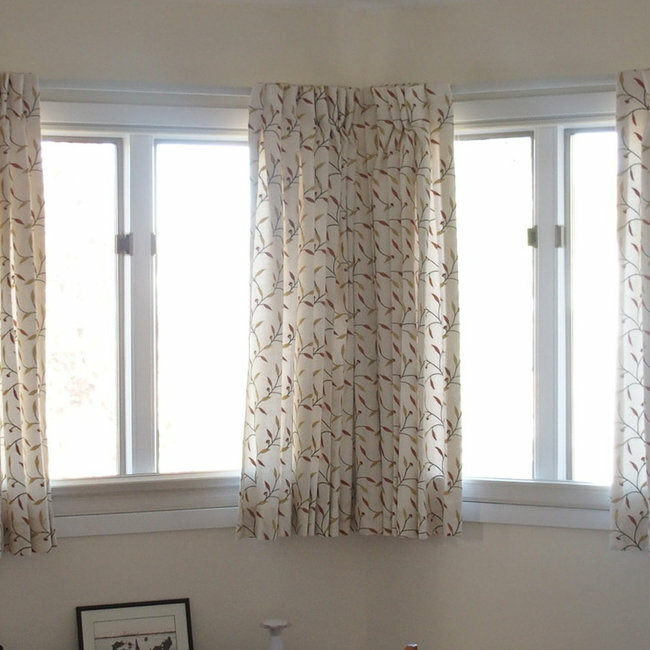 To this end we keep ourselves updated on current trends, maintain an updated library of fresh fabric samples and blinds, shades and shutters samples, keep ourselves educated, and continuously strive to improve our fabrication skills and customer service. Bedroom draperies in offwhite linen blend with embroidered leaves.